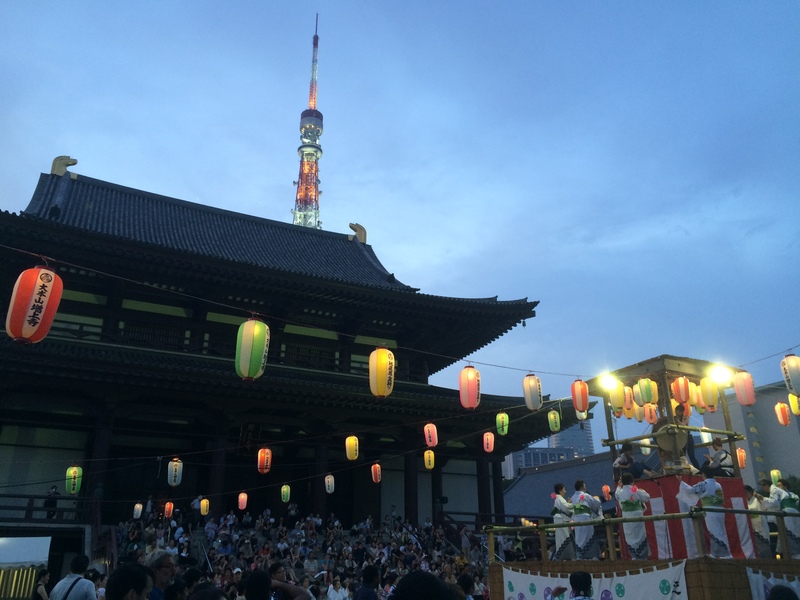 In this summer season, Bon dance festival is held everywhere in Japan. Bon is a Japanese Buddhist custom to honor the spirits of one’s ancestors. This Buddhist-Confucian custom has evolved into a family reunion holiday during which people return to ancestral family places and visit and clean their ancestors’ graves, and when the spirits of ancestors are supposed to revisit the household altars. It has been celebrated in Japan for more than 500 years and traditionally includes a dance, known as Bon-Odori. and we dance to welcome the spirits of the dead. Bon dance Festival at Zojoji temple. 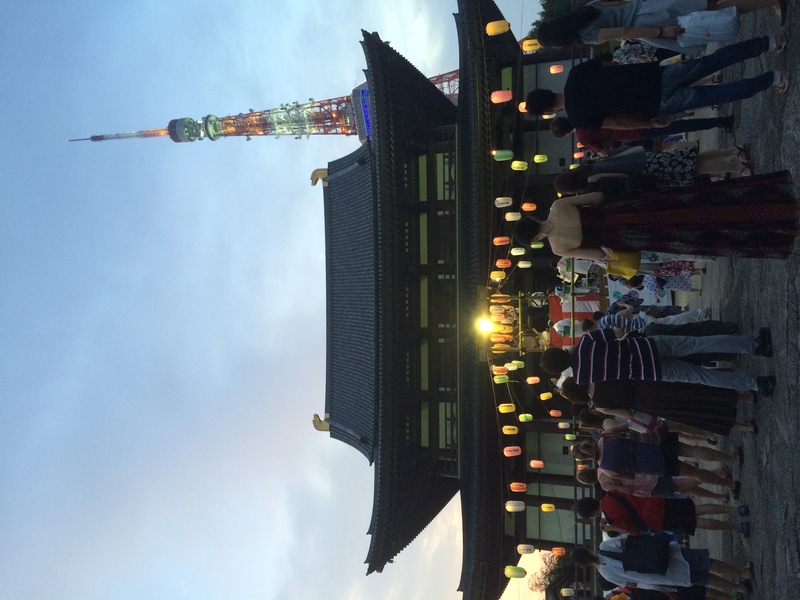 we went to Zojoji temple to enjoy Bon dance festival with beer! We had a great fun ! 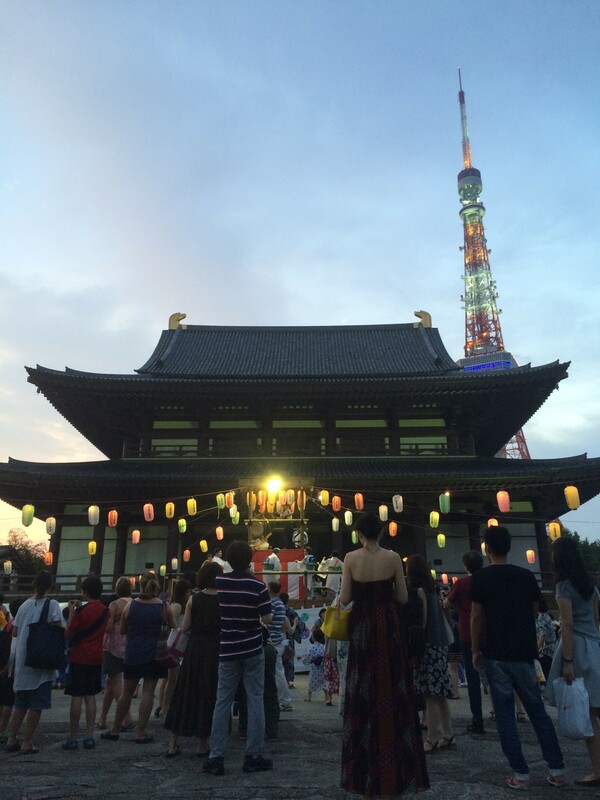 Please tuch and feel and enjoy Japanese traditinal Festival!